After a historic rise to nearly $650 per share, Apple stock has dipped back below the $600 mark after a steady decline over the past week. As a result, the soothsayers have unsurprisingly emerged from the woodwork with their less-than-certain predictions about the company’s future. And somewhat ironically, I’m going to make one of my own. But first, let’s see what everyone else is saying. Noting that he isn’t worried about Apple quite yet, Business Insider’s Henry Blodget gave his readers two reasons to consider regarding the company’s future. Noting this lack of blowback from the Apple base rather abnormal to say the least, Blodget appears to take such radio silence as an indication of deeper troubles within the company itself. I, on the other hand, am not willing to let something that could so easily be little more than coincidence pass as one of the only two reasons to be “a bit nervous” about Apple’s long-term standing. Furthermore, consider the nature of the statistic used as supposed proof of the Apple base’s sudden silence. First of all, the statistic about Verizon’s quarterly iPhone sales dropping is hardly surprising. With anticipation of the next-generation iPhone slowly building as we await an announcement from Apple, it makes sense that sales of the current version will begin to decelerate. After all, why pay full price for an iPhone 4S when you could wait and pay the same price for the iPhone 5 that’s right around the corner? Second of all, the statistic is limited exclusively to Verizon iPhone sales, not all iPhone sales, which, according to a recent U.S. study, bested Android earlier this year. This, too, would come as a bit of a surprise if it had any factual basis whatsoever. Moving beyond the laughable exaggeration that “zillions” are spent getting the likes of Samuel L. Jackson and Zooey Deschanel to promote Apple’s virtual assistant (because only struggling companies employ celebrity endorsements), his suggestion that iPhone 4S users have “basically stopped” using Siri comes without citing a single report or study. Meanwhile, a study last month by Parks Associates shows just the opposite. The results of the study confirm that nearly 90 percent of iPhone 4S owners use Siri for at least one task a month. Furthermore, when asked if they were satisfied with the virtual assistant, 55 percent of respondents said they were while only 9 percent said they were dissatisfied. I find this difficult to believe. Would Jobs, like any right-minded executive, pushed for improvement to increase adoption? Of course. But berate the product team and scrap it altogether? Hardly likely. Nevertheless, despite his position’s basis in conjecture, it is understandable that Blodget and others sharing his position have gone to the lengths that they have to distance themselves from the outrageous positions of those who think Apple can do no wrong. Those who suggest that Apple could double its value—currently resting at $500 billion—in just a few more years are, as Blodget points out in a separate piece, likely the ones who stand to gain the most from it happening. In reality, we really don’t know what’s going to happen. Things could spike, slump or remain steady. We really can’t be sure. “Such is life in the technology industry,” he rightly acknowledges. Therefore, it’s understandable that amidst the lofty speculation and constant clamor of fanboys (and girls) that some would attempt to balance the scales by making equally supercilious claims in the opposite direction. While Goldman Sachs is urging investors to swoop in and buy up Apple’s dipping stock in anticipation of another spike, there is nothing written in stone that says it will pay off. Case in point: Heritage Capital president Paul Schatz, who suggested today that Apple’s basic practices “couldn’t be better” than they currently are—possibly reaching up to $1,000 per share—is not under the impression that Apple’s high valuation is everlasting. “Whenever that bull market peaks, I think Apple is headed, minimally, 30% down, probably 50% to 60% down,” he said immediately following what seemed like a display of unfettered optimism. But this sobering prediction has less to do with Apple—or who’s running Apple—than it does with the stock market as a whole. Given similar bubbles inflating around other tech companies—most notably Facebook and its $104 billion anticipated valuation—Schatz’s position is by far the most credible. While current owners of Apple shares (and other bloated tech stock) are asking how high they can push values before an inevitable market-wide selloff ensues, the real question is how this fantasy world of speculation actually serves to benefit the technology industry as a whole. 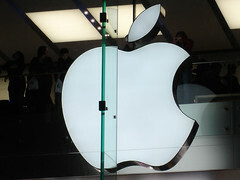 For more Apple news and info . . .